More Prometheus goodness. Guy Pearce is Weyland. Sounds a hell of a lot like John Hurt. Excitement builds. Watch video. I'm not a betting man but I've always wanted to make (or more likely lose) some money by gambling on the Academy Awards winners. I've just had a look on the Paddy Power betting website and though I find all this stuff about odds a bit confusing, there looks like there could be a chance to make a bit of cash. Here's what I would put some money on if I was a betting kind of guy. Best Picture: The Descendants is 12/1, Hugo is 25/1. If you have any doubts about The Artist, either of these could be worth a putting a pound on. Best Director: Payne and Malick at 25/1. 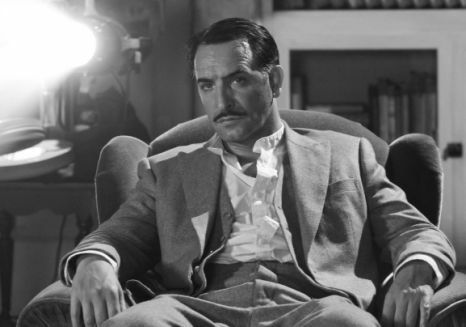 Hazanavicius is the favourite again. 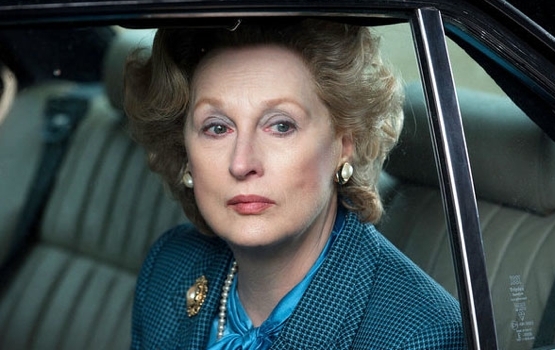 Best Actress: Davis and Streep the favourites. Could put a pound on Rooney Mara at 66/1 but only if you can afford to lose that pound! Best Actor: Clooney and Dujardin clear favourites. I'd put a pound on Oldman at 20/1. Best Supporting Actress: Spencer the favourite. I'd put a pound on both Bejo (9/1) and Chastain (25/1). Best Supporting Actor: I'd wager a pound on Von Sydow at 20/1. Plummer's the favourite. Best Original Screenplay: Favourites are Midnight in Paris and The Artist and I wouldn't waste a pound on any of the others in a million years. Best Adapted Screenplay: My money would be all over Moneyball for this with odds of 11/2. I'd really consider putting money on this one. The Descendants is the favourite. Best Animated Feature: Rango the favourite. I wouldn't waste any money betting on the others. Best Cinematography: Lubezki is the clear favourite for The Tree of Life but I'd put a quid on Robert Richardson for Hugo with odds of 2/1. So if I was a betting man I'd divide up a tenner on some of these and see if I came away a rich man or a silly sod who just lost his lunch money for the week. Anyone fancy these odds? DISCLAIMER: Gambling is addictive, just look at how many betting shops are springing up in high streets all over the country! Whatever you do, don't listen to me or ever gamble! It will be your ruin! Two articles for the price of one! My ninth and tenth articles are both published in the February issue of the amazing Media Magazine. You can subscribe to the magazine here. The magazine and the articles are aimed at A Level and BTEC media students but I'm sure anyone with an interest in film audience research or Kevin Macdonald's recent documentary Life in a Day will find them interesting. If you have not seen the wonderful Life in a Day yet, I insist you must. It's online for free and totally legal right here. My articles are titled Test Screenings: Exhibition, Participation and Intervention and Life in a Day: Creation through Participation. The theme of the issue was participation and the media, hence the titles! The issue also contains an article from the always interesting James Rose on feature films made about participatory TV. Test Screenings are the most common form of audience research used by Hollywood and the film industry as a whole. Long in advance of the release of a film, a small audience will be invited to a secret preview. Effects may not be completed, the soundtrack may be temporary and the film will sometimes have barely left the edit suite before it is screened to a few film fans to gain feedback from the audience. A questionnaire is generally handed out after the film and the audience asked to complete it. Questions could be on anything from the opening of the film, to individual characters, to the soundtrack, or even to the ending of the film. The audience will be responsible for giving the filmmakers feedback on what does and doesn’t work and the responses could lead to drastic changes in the film or the marketing strategy before it is finally released. Attendees are asked to sign a non-disclosure form so they cannot leak details of the film on their blogs or to the press. With test screenings becoming increasingly common, the question is; should the artist or the audience get the final cut? With participants that range from a little boy that shines shoes for a living in Peru to a smug American Lamborghini owner, Life in a Day crosses the globe and brings viewers a taste of a huge range of cultures, from the super rich to those that have nothing. As a social experiment, not just a feature documentary film, the filmmakers wanted to make this a global project. No doubt to avoid accusations of ethnocentrism and an attempt to eliminate too great a focus on ‘narcissistic, bedroom-bound western teenagers’ (Macdonald, 2011), the filmmakers wanted to include people from the developing world that don’t traditionally have access to cameras, computers or any means to upload their footage to Youtube. So Macdonald and his team spent £40,000 on 400 HD cameras and had ‘various aid organisations distribute them among people in remote towns and villages’ (Macdonald, 2011) in around forty different developing countries. The images and sounds of Angolan women that sing as they work, the men who herd goats and the people who dwell in the rainforests are testament to the films attempt to bring representation of all corners of the globe to the big screen. So what are you waiting for? Go subscribe now here. And thanks for reading! Definitely want to see The Artist get this one. The only other ones I’ve seen are Hugo, Moneyball, and The Tree of Life and The Artist beats them hands down. Would love to have seen Paddy Considine’s little indie Tyrannosaur up for this category but is it too British? Would love to see Dujardin get this but I have a feeling Clooney might take it. Brad Pitt hasn’t got a hope and I’m honestly not sure why he’s nominated. Would also be nice to see Oldman take the stage but I think it's unlikely. Ashamed to say I haven’t seen a single one of these. I hear it’s between Streep and Davis. Would love to see anyone but Streep win it because she’s had her fair share of awards and there’s a lot of hate inside me for Maggie T. Olivia Colman deserves this award for her performance in Tyrannosaur though. Hope Hazanavicius gets this. Malick lost the plot (haha literally), Marty’s direction of the young actors isn’t his best. I go with what I’ve heard and what I’ve heard is this has Plummer’s name all over it. The only one I’ve seen is Moneyball and Hill hasn’t got a chance in hell and again, I’m not even sure why he’s nominated. Surely Albert Brooks deserved a nod for Drive. Bejo was great, McCarthy was hilarious and sweet but it would be nice to see The Help get something and I hear Spencer is fantastic. I’d really like to see McCarthy get it and open the way for more comedy in the Oscars. Not sure how Bridesmaids wangled a place here despite it being a good film. Would love to see The Artist get it but I reckon the main competition is from Woody. George Clooney, Grant Heslov, "The Ides of March"
This is a really strong category and one of the hardest to call. I could see any of these winning. I reckon the frontrunners are The Descendants, Hugo and Tinker, Tailor, Soldier, Spy. However if Moneyball will win anything, then this will be the one. Desperately hope this will go to Rango even though it’s the only one I’ve seen. Another category where I shamefully haven’t seen a single nominee. Heard a lot about A Separation though and so would put my money on that. Despite my lack of fondness for the film, The Tree of Life definitely deserves this. But then again, Fincher’s films are always beautifully shot. And I have to say Hugo looked incredible too with some amazing use of 3D. But Tree of Life will surely get it. I’d like to see Paradise Lost 3 get this, kind of as recognition for the achievement of the whole trilogy. Then again I hear good things about Hell and Back Again. Got to be between Hugo and TGWTDT. I hope Fincher’s film gets it, pretty much just for edting of the teaser trailer. Another sure win for The Artist. Well all will be revealed tomorrow so until next year, adios awards season. Bring on the silly summer blockbusters! Orange memories. Missing Mr Dresden.